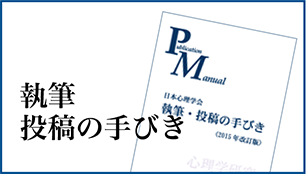 The Japanese Psychological Association (JPA) was founded as an academic organization on April 7, 1927. 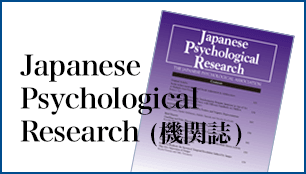 As the oldest national psychological association in Japan, we have contributed to the development of Japanese psychological activities through a membership base that includes both academic researchers and professional practitioners,. On April 1, 2011, we became a Public Interest Incorporated Association under the approval of the Cabinet Office. Our total number of members stood at 7,411 as of the end of March 2012. 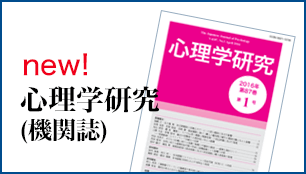 Since our foundation, we have continued to conduct academic conferences and publish membership directories and our main academic journal, The Japanese Journal of Psychology. 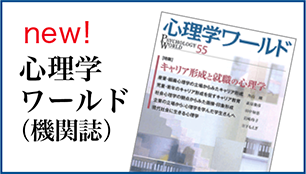 We also publish an English language journal Japanese Psychological Research and an enlightening informative magazine Psychology World. Our other activities include certification of Certified Psychologists, public lectures, public symposiums, workshops for Certified Psychologists, and awarding prizes to outstanding research. As part of our commitment to international exchange, we have been a National Member of the International Union of Psychological Science (lUPsyS) since the 13th International Congress of Psychology was held in Stockholm in 1951. We organized the 20th International Congress of Psychology in Tokyo in 1972, the 22nd International Congress of Applied Psychology in Kyoto in 1990 and the 31st International Congress of Psychology (ICP2016) in Yokohama in 2016, all of which were very successful. 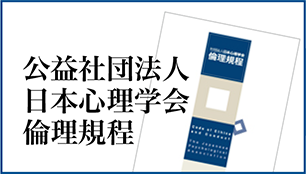 Domestically, we discuss educational curriculum and certification issues through exchanges with other psychology related associations in the Japan Union of Psychological Associations.